Internationally acclaimed kids franchise and toy brand, Pokémon has made a powerful comeback in India this summer with its launch on Hungama TV. Launched on 19th May 2014 and backed by a robust programming and promotion strategy the show is already being touted as the best kids show launched in the year. Reaching out to 57.1 Mn audiences across All India of which 24.2 million audiences are kids in till now and the show has ranked #1 in its prime play slot every week since launch. 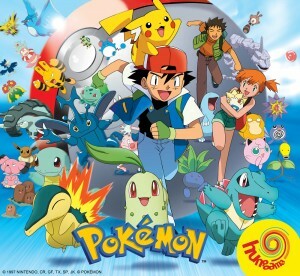 Pokémon is one of the top brands internationally with a slew of TV series, Movies, Video-games, Toys and Consumer Products. The show is syndicated by Dream Theatre Pvt Ltd to Hungama TV marking its foray in the content syndication space adding to their already existing prowess in Licensing and Merchandising business in India. Dream Theatre will also handle Licensing and Merchandising portfolio for Pokémon in India and South Asia. “Pokémon, true to Hungama TV’s proposition, celebrates the spirit of childhood with elements of fun, adventure, sportsmanship and friendship. The response to the series has been phenomenal and its success is a testimony to the fact great content packaged with interesting elements can definitely excite the kids of today. We are glad to be associated with Dream Theatre to bring back this internationally popular series on the channel”, said Devika Prabhu, Director, Programming, Media Networks, Disney India. “We chose Dream Theatre for the relaunch of Pokemon in India as they have a great understanding of the market which includes both broadcast space and off-channel commerce. We are delighted that they have made the right steps to see the brand come back and win the heart of kids. We look forward to building a long term value of the Pokémon brand in India”, said Kenjiro Ito, Executive Corporate Officer, The Pokémon Company.